Where a foreign company renders professional services to a South African company, it is important that the foreign entity considers whether, as a result of rendering such services, the foreign company will create a permanent establishment in South Africa. The reason why this becomes important is that where a foreign company creates a permanent establishment in South Africa, South Africa will under the provisions of a Double Taxation Agreement (“DTA”) concluded with another country, be entitled to subject that foreign entity to tax on the profit attributable to that permanent establishment created in South Africa. 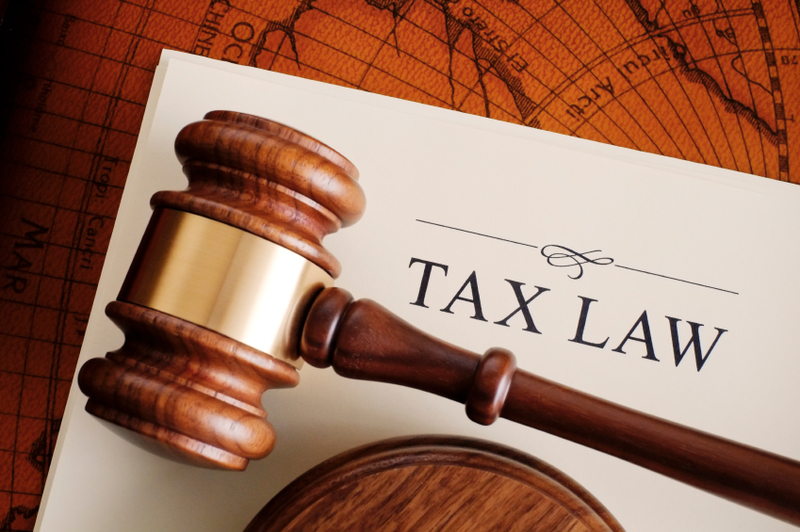 In the case of X LLC, case number 13276 heard in February 2015, as yet unreported, the Tax Court had to determine whether X had created a permanent establishment in South Africa, and as a result thereof, was liable to tax in South Africa. The case involved a corporation incorporated in the United States of America and the court therefore had to consider the provisions of the DTA concluded by South Africa and the United States of America. Article 7(1) of the DTA concluded by SA and the USA provides that the profits of an enterprise of the USA shall be taxable only in USA, unless that enterprise conducts business in South Africa through a permanent establishment located in South Africa. Furthermore, the DTA provides that where business is carried on through a permanent establishment, the profits of the enterprise may be taxed in South Africa, but only to the extent that they are attributable to that permanent establishment. The court had to decide how the DTA should be interpreted and whether it was necessary for X to have met the requirements of both Articles 5(1) and 5(2)(k) of the DTA. The taxpayer contended that it is necessary that a permanent establishment be created first and only once that has occurred, is it then necessary to take account of the provisions of Article 5(2)(k) of the DTA. SARS on the other hand, argued that if X fell within the provisions of Article 5(2)(k) a permanent establishment exists and it is not necessary that X met the requirements of Article 5(1) of the DTA. Vally J in his judgment handed down on 15 May 2015 reached the conclusion that Articles 5(1) and 5(2)(k) cannot be read disjunctively. He expressed the view that as a result of the usage of the words ‘includes especially’ Article 5(2)(k) of the DTA should be read as specifying those specific activities which will be regarded as creating a permanent establishment in South Africa. The Tax Court reached the decision that taking account of the number of days spent by X’s staff in South Africa, it met the time requirement specified in Article 5(2)(k) of the DTA and for that reason a permanent establishment had been created in South Africa. The court also reached the conclusion that X had a fixed base in the boardroom of its client in South Africa, and had therefore established a fixed place of business in South Africa while rendering services to its client in South Africa. It must be remembered that Article 5(1) of the DTA, in defining a permanent establishment, refers to ‘a fixed place of business through which the business of an enterprise is wholly or partly carried on’. The court expressed the view that it is not necessary that the non-resident carries out all of its business from the fixed place of business which is established in South Africa. The court reached the conclusion that a permanent establishment is created where X performs only some of its obligations in terms of a contract concluded with its client, and even if it conducted part of its business from its client’s boardroom. In assessing X to tax in South Africa, SARS levied tax on the fees derived by X in South Africa, after deducting therefrom attributable expenditure and imposed additional tax of 100% and interest on the underpayment of provisional tax in accordance with section 89quat(2) of the Income Tax Act. The court reached the decision that the additional tax was not disproportionately punitive and therefore dismissed the appeal against the additional tax. Insofar as the imposition of interest is concerned, the court expressed the view that X should have familiarised itself with the taxation laws of the country within which it conducts its operations, and for that reason it was decided that X had been negligent in not seeking advice regarding the tax consequences of the contract concluded with its client. The court therefore came to the conclusion that SARS was correct in imposing interest on the underpayment of provisional tax. Based on the above case, which admittedly deals with the interpretation of articles contained in the SA and USA DTA, it is important that non-residents rendering services to clients in South Africa must evaluate whether they will create a permanent establishment in South Africa, thereby triggering income tax on the profit attributable to the services rendered in South Africa. Furthermore, if the non-resident creates an enterprise as envisaged under the provisions of the VAT Act, it would also be necessary to register for VAT purposes, and charge VAT on the fees received from the resident client and pay that to SARS. Furthermore, where persons from abroad are sent to South Africa to render the services that may, depending on the circumstances and the provisions of the DTA in question, give rise to the non-resident entity being required to register as an employer in South Africa with the obligation to withhold and deduct PAYE from amounts paid to persons sent to South Africa to render services here. Clearly, any South African tax paid by the non-resident entity, would under the terms of the DTA be recognised as a credit claimable against tax paid in the home jurisdiction of the entity rendering the services in South Africa. Non-resident employees who become liable to tax in South Africa should also be entitled to claim such tax as a credit in their home jurisdiction under the DTA in question. It is important therefore that non-resident entities rendering services into South Africa carefully consider how to plan and structure their affairs in South Africa, so that they do not fall foul of the provisions of the Income Tax Act read together with any applicable DTA.